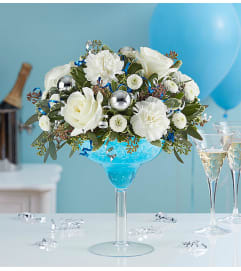 Gather around our Winter Wonderland for all your holiday celebrations! 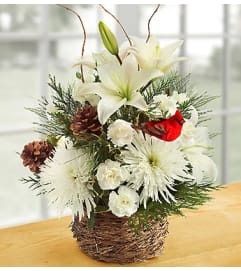 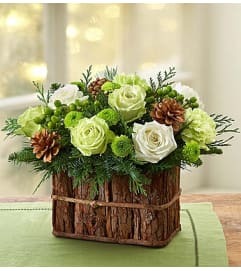 This beautiful centerpiece is made of fresh and fragrant assorted Christmas greens and features green and white roses, lime green carnations and more. 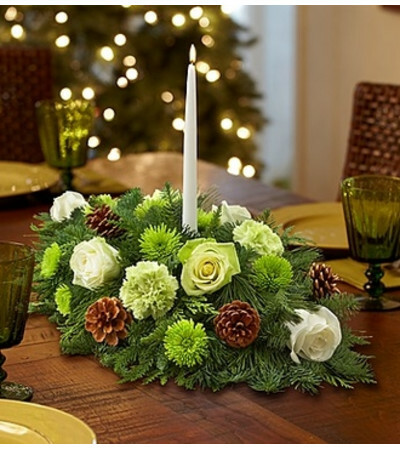 Accented with realistic pinecones and topped off with white tapered candles, it’s a gift sure to fill everyone with the spirit of the season.